Welcome to 'Seascape at Makakilo', a privately gated single family home community overlooking Kapolei. 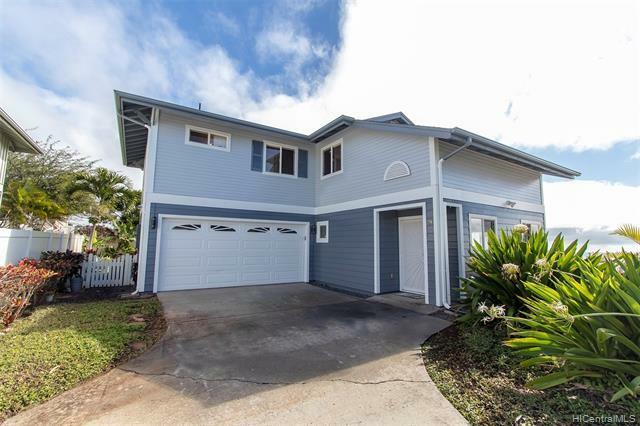 This home is one of the larger 3 bedroom floor plans with upstairs loft and is situated perfectly to enjoy ocean coastline views. Some or the great aesthetic benefits include corian counter tops, first floor laminate flooring, built-out kitchen nook and fresh new exterior paint. Pets allowed verify. Listings provided courtesy of Bhgre Advantage Realty.